The number of weed strains available out there is endless. Some are perfect for deep relaxation while others give users with depression and anxiety a much needed boost. Even more, there are some strains that are best for growing inside the home. However, one thing is for certain – no matter the cannabis strain, all weed is good (I’m sure that is something that everyone can agree with). Something else to consider is how you put those precious strains to go use. Do you smoke it or, rather, vape it? Our money is on vaping. It enhances the flavor of your weed and consists of a much cleaner high. 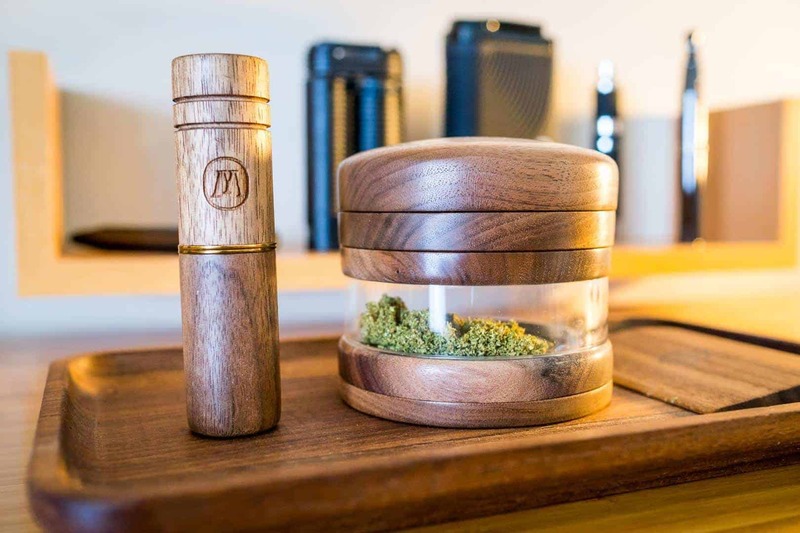 To help with picking out the best dry herb vaporizers that you can find today – TheVape Guide is the superior resource. Without further ado, here is a comprehensive list of the 10 best weed strains out there that you should definitely try! As you might have guessed it, this strain of cannabis is named after the alter ego of the Incredible Hulk. It has maintained a spot of the list of strongest marijuana strains and rightfully so, considering that it can reach up to 30% THC – making it a rather potent hybrid. This strain is predominantly sativa which can create a relaxed feeling as well as a rather euphoric high. Next on our list is Jock Horror – known for its delightfully berry flavor with a skunky aroma. This Indica-Sativa hybrid grows quite tall and flowers early – making it perfect for home use since it is ready sooner than other cannabis strains. This strain is commonly used by medicinal marijuana users who suffer from such ailments like stress, asthma, and depression. Bust out the snacks because this one is sure to have you raiding your kitchen when using this strain. Not only is it known for producing a long-lasting euphoric high but it also stimulates your appetite so definitely stock up before using. This one is a cross between two other weed strains – Girl Scout Cookies and Captain’s Cookies – containing around 25 to 34% THC. If you are new to using weed, this one is definitely not for you. This strain is sativa dominant – containing around 75% – making it hit you hard and fast so definitely one for those veteran users. The scent can be compared to nuts and pine cones while the taste simulates lemons. It is great for those who need that extra energy and creativity boost. This next one is here sheerly out of popularity. This hybrid has taken much of the United States by storm and rightfully so – it is a cross between Durban Poison and OG Kush. Due to this mix, you can expect a THC concentration of around 28% – making it a great choice for seasoned users. This strain is very uplifting and makes for a strong brain stimulant as well as a body relaxant. This strain isn’t for the faint of heart as it packs a punch and is known to cause paranoia and anxiety so err on the side of caution. It is 80% Indica and 20% Sativa – making for a 26% THC potent mix. It has a minty flavor and is perfect for those who suffer from chronic conditions like arthritis or multiple sclerosis – leaving the body tingly and relaxed, helping to forget the pain. Next on our list is one that truly pushes the limits of how potent a weed strain can get which Chiquita Banana doesn’t fail to disappoint. This strain has won many awards already and reaches THC concentrations of up to 33% – so definitely not great for a newbie. This one is a cross between Banana and OG Kush and has a very tropical and sweet taste. We simply can’t forget to add this one to our list considering that it’s been around since the 1990s and has served as the base for many other popular weed strains. Just like with others featured here – it is a potent strain with between 19 to 24% THC, making it a no go for newbies. It is well known for its pine flavor and rather citrus smell. As with our previous entry, we can’t forget this one due to its popularity. This strain is also potent – falling within the 24 to 28% THC concentration, however, it has been known to reach levels up to 30%. This one is a pain killer and produces a heavy high but one that is still quite comfortable. This strain, finally, is one that new users can get their hands on and enjoy. It is less potent than many other cannabis strains with a 15 to 23% THC concentration and a 55 Sativa/45 Indica balance. This one is also great for medicinal marijuana users and is popular for pain killing as the high hits the user early on. It is well known for its musky and skunky flavor. Looking to forget all those aches and pains – try a Sativa dominant strain. Much of the entries on this list consisted of rather potent concoctions and tantalizing hybrids, however, this is only the tip of the iceberg when it comes to weed strains. New ones are bred often and different strains are crossed together – making combinations endless. While only one entry made it here for newbies, we suggest doing your own research and finding one that is right for you to start out with. If you are a seasoned user, well then have at it. Like we mentioned before, there are many ways to get your weed fix – you can cook with it, eat it, smoke it, or vape it. If you haven’t jumped on the vaping train yet and want to learn more about it – check out TheVape.Guide for the low-down on vaping dry herb.